One of business activities of SENDA is grain trade. 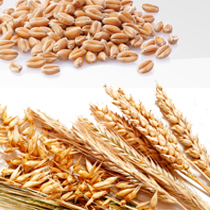 We are engaged in the wholesale trade of wheat, corn, oats, barley and panicum. Years of experience and extensive regional network allow us to deliver quality products promptly and timely. Wheat, barley, oats, panicum and corn meet all product requirements, which is supported by conformity and quality certificates. We can provide you with crop samples that will allow you to decide on the further purchase.